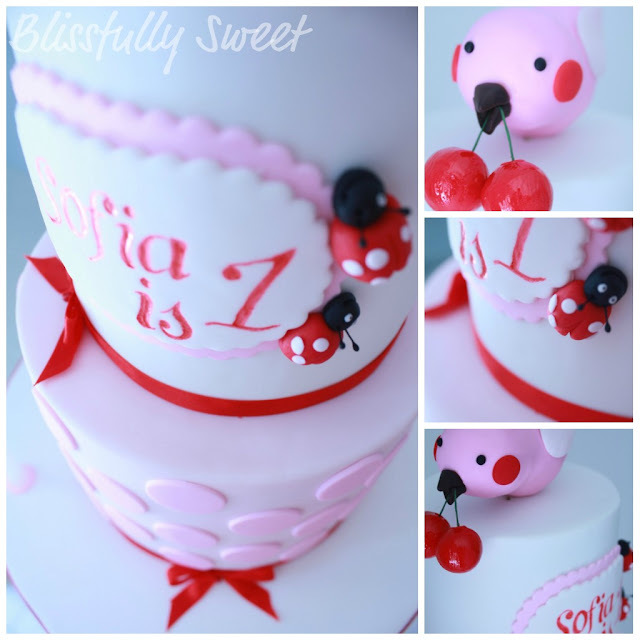 My lovely client Francesca came to see me to make Sofia's 1st birthday cake. 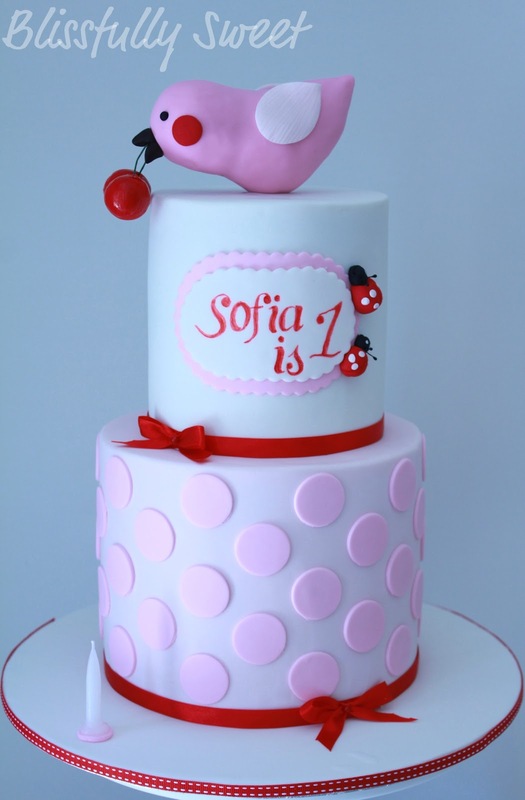 Francesca loved the cake I made for Sofia's christening last year and now she had a very special 1st birthday party to arrange.This cake was inspired by the beautiful "Polkadot Birdie" printables by Sarah @ Style Me Gorgeous. Francesca wanted a cake that would show some of the wonderful graphics of these printables. 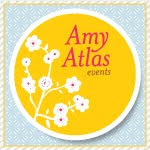 You cannot go wrong with that kind of inspiration! 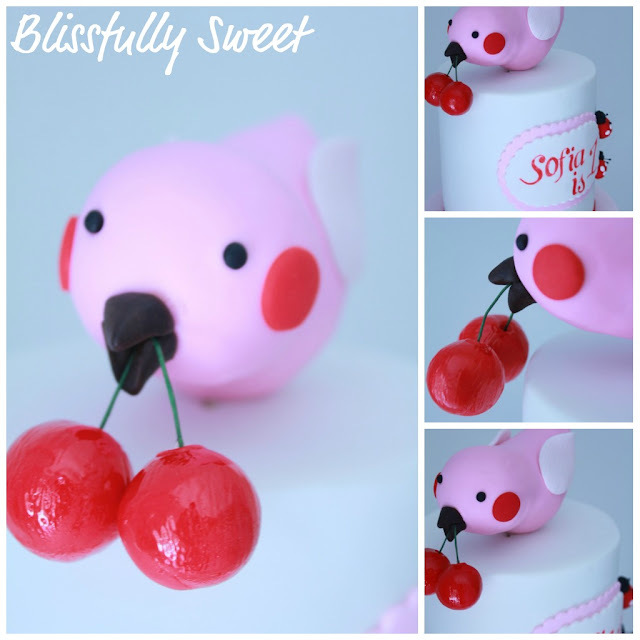 The bird has been handcarved from styrofoam and covered in fondant and given the Style Me Gorgeous treatment! All other elements are also handmade and completely edible.The cake is white chocolate raspberry mud cake with white chocolate ganache.